The founders of our [United States] government designed it to be transparent, so that the governing people could know what the governors were doing. One of the most important methods of making the government transparent, in their minds, was a free press. The Freedom of Information Act, which was signed into law on July 4, 1966, is a tool which is available to anyone, but it is frequently used by reporters in order to obtain information from the government. In 2012, Reporter Jason Leopold was working on a story about Hesham Abu Zubaidah, the brother of Guantanamo detainee and accused terrorist, Abu Zubaidah. Hesham signed a consent to allow Leopold to request documents on him under the Freedom of Information Act and was visited by an FBI agent. (Truthout.org article May 29, 2012 by Jason Leopold, “So Then the FBI Sent Out an Agent to Check Up on My FOIA Request”). This article reports that, in the National Archives Scandal, the CIA claimed that classified documents that were inadvertently disclosed gives the government the right to treat them as classified (without being reclassified.) While there is no law against publishing classified documents, The Espionage Act prevents the disclosure of information relating to national defense. According to an article in the Fall 2013 issue of National Affairs, while the Bush administration merely threatened prosecution of journalists for espionage, the Obama administration has actually engaged in seven such prosecutions. The article further reports that, while, by law, most government secrets are required to be declassified after 25 years, as of 2013 there were over 58 million pages of documents that had not yet been reviewed for declassification. The danger in the government using the Espionage Act and other tools to prosecute reporters, attorneys, and others is that its misuse is stifling freedom of the press and freedom of expression, and is making government opaque, instead of transparent as it is supposed to be. The federal government has so much power with regard to federal prosecutions that it is virtually impossible for an ordinary citizen to defend him or herself if they decide to charge or indict you. As Judge Jed S. Rakoff observed in his article, Why Innocent People Plead Guilty, The New York Review of Books, November 20, 2014, fewer than 3% of all federal criminal cases go to trial. Because of sentencing guidelines, high bail, and the high cost of a defense, an accused often finds himself in jail, unable to defend himself, and succumbs to a federal prosecutor in a plea bargain agreement. In a federal criminal case, the prosecutor has all the advantages. 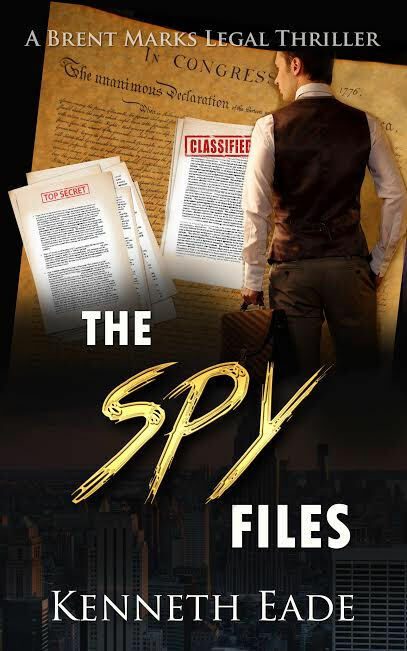 As is observed in my latest novel, The Spy Files, in the words of James Madison, ‘Without freedom of thought, there can be no such thing as wisdom, and no such thing as public liberty without freedom of speech, which is the right of every man.’ If the government is allowed to spy on the people, that means that the people have no privacy in their thoughts or speech, which means that the government has taken away their liberty. This is the same government that has sacrificed hundreds of thousands of lives in the name of liberty, and not just the lives of American servicemen. Patrick Henry said ‘give me liberty or give me death.’ I think his famous quote makes it crystal clear that the Constitutional framework of this country values liberty as an essential element of life, worth dying for. If something is worth such a sacrifice, how can the loss of it be justified for the argument that it will make us safer to give up our liberty and our civil rights? Are we to tell the mothers and fathers, sisters and brothers of all the soldiers lost in foreign wars that it was all a big lie? That they died for nothing?